Stunning in every way, this corset ticks all the boxes. Designed for maximum jaw dropping impact it ensures that even the most conservative amoung us can still turn a few heads. Everything, from the white lace accents that cover the four bones on the front panels to the exquisite matching white floral lace trim that adourns the top and the bottom from front to back, is made with that subtle and whimsical feel. 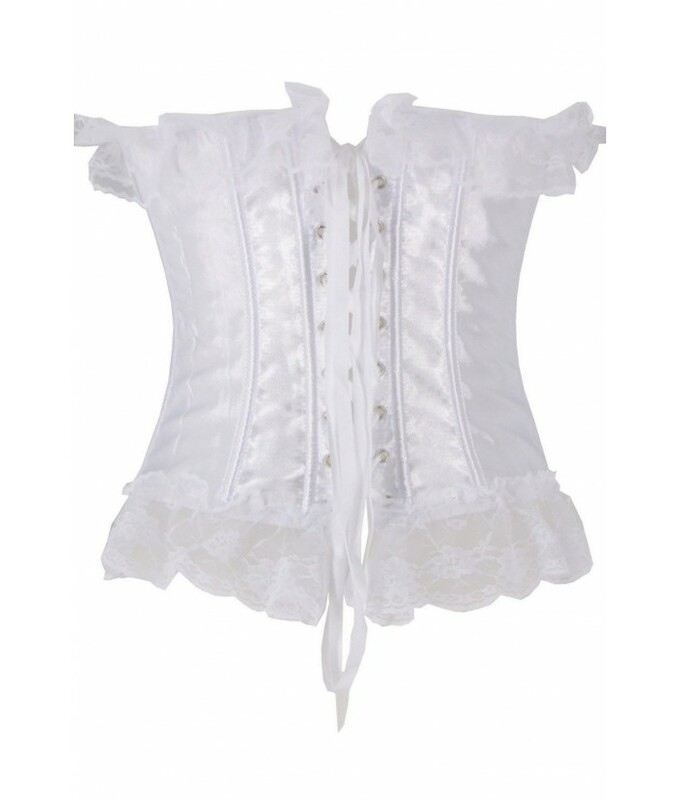 Whilst not specifically made as a bridal corset, it would certainly fit in well on the big day, before, during or even after the ceremony. But what makes this corset so special is that it also looks incredible just matched up with a nice pair of designer jeans and some heels and can be worn to a multitude of different events. - Steel busk hook eye fastening clips. - Lace accents and trims. - Ribbon tie up back. 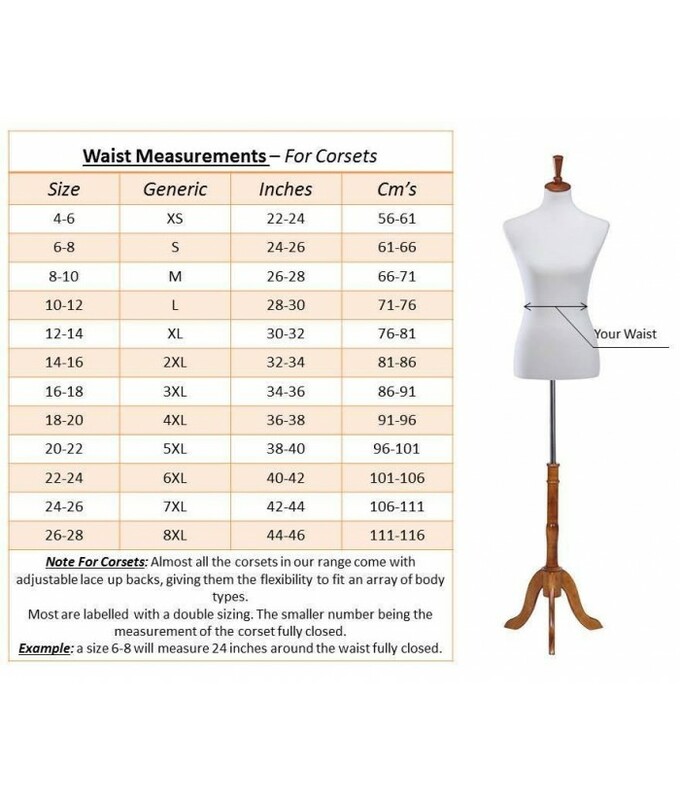 - Supportive rods throughout corset.